Coveted Orcutt Neighborhood Beauty brings you home. With your growing family this charming upgraded Edge Wood home features, open floor plan, remodeled kitchen and baths, and indoor laundry. Feel the brightness of light and warmth of the vaulted ceiling in the master bedroom and bath. The upstairs family room is located between the master and the other two bedrooms for the convenience of togetherness. Your open kitchen looks into the family room with fireplace. Backyard nicely accommodates entertaining family and friends, or the warmth of those cozy coastal evening breezes. Family BBQ. Large park for children. 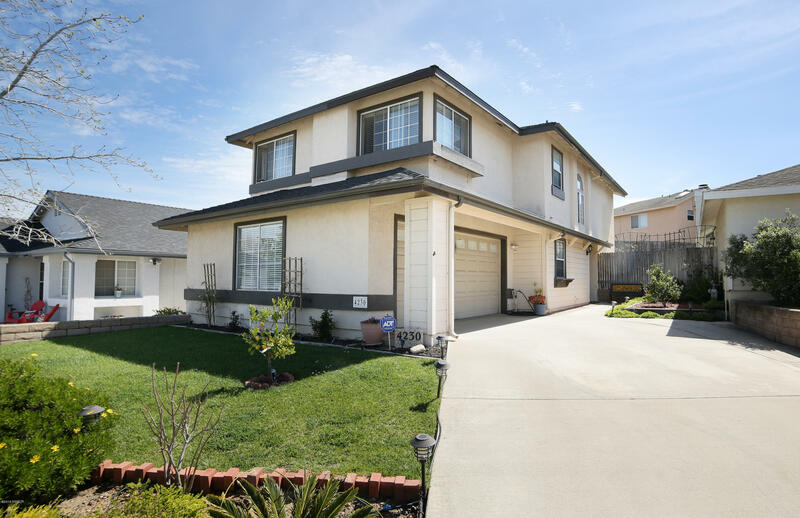 Close to school, shopping, and freeway. Directions to Property: Hwy 101 to Union Valley. Right on Morning Ridge.